Because it’s better than on the streets! Everyone’s got to sleep, right? 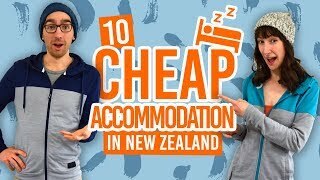 But staying in a hostel in New Zealand is a major part of a backpacking experience because of all the fellow backpackers you get to meet – ideal for all you solo travellers out there. Sure, the amazing sights and activities of New Zealand make you’re travelling trip, but it’s the people you meet along the way that complete it. In addition to lovely travelling people, hostels have heaps of other reasons to love them, which are listed below. Enjoy! Use facilities when travelling by car or camper van. Store your luggage for when you do a Great Walk. Gain travel tips from fellow backpackers and reception. What’s great about hostels is that you meet different people from different countries, yet you are drawn together with the same interest in mind: travelling around New Zealand. Not only do you learn about NZ while travelling the country, but because it is such a popular backpacker country, you learn a lot about the rest of the world. Making friends from far and wide gives you a good excuse to visit their country too! For more ways to meet people while travelling solo, take a look at this article. Travelling solo can be a scary prospect but many people in hostels are doing just the same thing! So thankfully, people who travel tend to be open minded. Want company when going on a day trip? Ask your hostel roommates. A lot of the time, people will be asking the same of you too. Some people click really well and decide to travel for a while with each other. N’aw, that’s nice. Staying in a hostel means you can spend your money on the things that matter. There are so many activities on offer in New Zealand, you wouldn’t want to miss out because you spent all your dollars on a bed in a motel or hotel room! Even if you’re not keen on the idea of sharing a room with other people, most of the time you will be away from the hostel doing awesome walks, bungy jumps, sightseeing, etc. So it’s not like you are spending a lot of time there. Hostels tend to be NZ$25-35! Some offer weekly rates for those staying longer, usually around NZ$160. It will become apparent as you travel around New Zealand, that WiFi is very hard to come by! We mean, how else are you going to read Backpacker Guide.nz?! Any cafes, bars or McDonald’s that offer free WiFi never seem to work. However, many hostels have WiFi either free or you have to pay for it. Albeit, sometimes the ‘free WiFi’ at hostels don’t work either… But that’s just the way it is. It’s worth paying a little bit if you need to access the World Wide Web a.k.a Facebook. You can purchase internet connection with companies like Global Gossip, which have hotspots in various hostels, mainly the Base and Nomads.This means if you are hopping from hostel to hostel with Global Gossip or staying there for a while, you can purchase unlimited WiFi for a week for NZ$12. 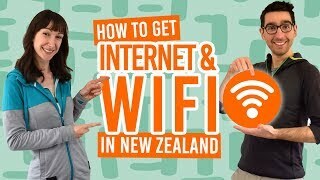 For some tips on how to find WiFi, take a look at 10 Free Wi-Fi Spots in New Zealand Where You’ll Actually Have a Good Connection. Obviously, having a bed in a hostel means you can use all their facilities like showers, luggage storage, kitchen and laundry. That’s pretty handy. For a small fee, you can use the same hostel facilities, if you are travelling by camper van or car. Finally, you can wash those stinky clothes! Have a Great Walk to tackle? Hostels close to the Great Walk tracks will allow you to store your luggage for a small fee. Beats dragging everything around the mountains with you for a 3 days! Or even if you need to check out of the hostel in the morning but still have things to do throughout the day, you can usually store your luggage for free. Hostels are a good place to start when searching for a job as part of your working holiday. There are often job boards listing local jobs ideal for backpackers! For other ways to find a job, check out How to Quickly Find a Job in New Zealand. Better yet, work for accommodation! Doing a few hours of housekeeping or reception work at a hostel is usually in exchange for free accommodation at the hostel! A great way to save some cents. Check out how else you can work for a place to sleep here: 6 Ways to Work for Accommodation in New Zealand. You will find fellow travellers in New Zealand who may have travelled other parts of the country to you. It’s great to get advice from people who have been to certain places with the memory still fresh in their mind. Likewise, you will find yourself naturally telling others about your travels too. How can you not? Additionally, the hostel receptionist is a good person to talk to as they know the area well. They can also book activities for you.